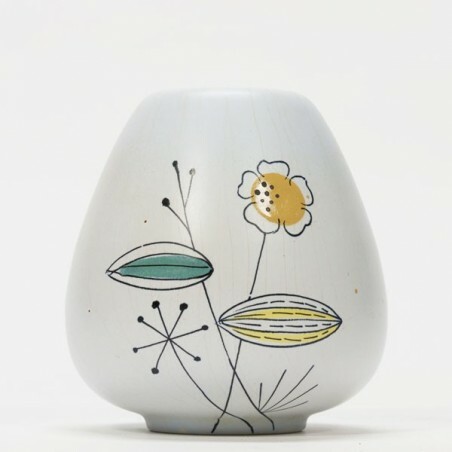 Vase from Flora BV Gouda pottery, produced between 1959-1961. 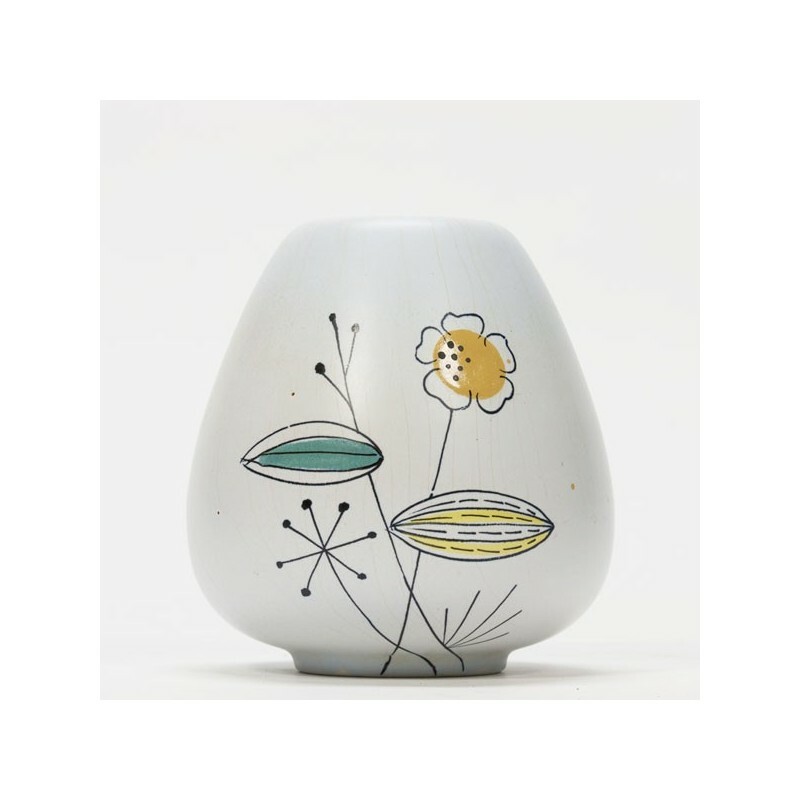 The Flora vase with decor Palma is model number 1042. The condition is good considering the age, no damage, see detail photos. The size is 14.5 cm high.